We are neutral. We seek the most convenient seaborne link for our customers. 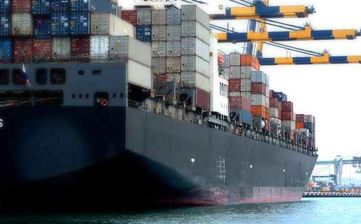 We have deals with most relevant carriers through the globe, enabling our customers to ship their goods in the most adequate maritime leg, as part of the transport chain. We perceive all shipping lines as important suppliers for Easyfresh. Every single supplier of Easyfresh, adding value to our customers, is relevant in the transport chain. These suppliers being stevedores, coldstores, customs brokers, trucking companies or shipping lines. The latter cover a paramount leg, being, on average 70 % of the total transit time and attached costs. Therefore Easyfresh very much respects all carriers, as important suppliers and an utmost relevant part of the Easyfresh service package.